(Kitco News) – World stock markets were mostly lower overnight, due in part to falling crude oil prices recently and by lower world government bond market yields. Slumping oil prices and lower bond yields suggest inflationary price pressures will remain squelched. U.S. stock indexes are also pointed to weaker openings when the New York day session begins. On the world geopolitical front, Saudi Arabia has a new crown prince, in a surprise change of leadership for that country. The new prince could take a harder line on Iran, reports said. The U.S. citizen who was held captive in North Korea and then died after he returned to the U.S. has many U.S. citizens, congressmen and pundits calling for President Trump to take action. Trump said he will deal with the matter, but just how he reacts is a big question mark. Some are speculating the incident is the tipping point for which the U.S. takes military action to take out North Korea's ballistic missile capabilities. This matter could well be the next major international incident that drives significant safe-haven demand into the gold market. The key "outside markets" on Wednesday morning see Nymex crude oil futures prices weaker. 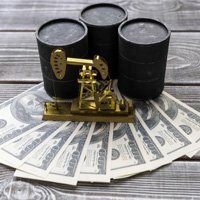 The oil market bears have the solid overall near-term technical advantage as prices are trading below $44.00 a barrel and hit a multi-month low on Tuesday. Meantime, the U.S. dollar index is slightly lower early today. However, the bulls have gained some upside momentum recently as prices hit a four-week high on Tuesday. U.S. economic data due for release Wednesday includes the weekly MBA mortgage applications survey, existing home sales and the weekly DOE liquid energy stocks report.